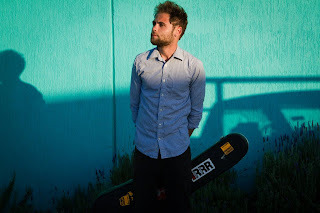 Passenger was originally a 5 piece band but split in 2007 but lead vocalist Mike decided to stick with the name even though now a solo artist. Mike started just by busking in the street, which he still loves to do - we actually came across him recently busking on the Corso in the Sydney beachside suburb of Manly to a crowd of enthralled onlookers. Sounding just as amazing on the street as he does recorded Passenger has a real command of music and this has flowed through to his new album All The Little Lights. Mike says this about his busking..
All The Little Lights is another brilliant indie pop album it has been critically acclaimed and Passenger is currently touring around Australia and the UK promoting the album. “It’s very different to Flight Of The Crow… actually all my records,” Mike explains. “Flight Of The Crow sounded like it was made in the 1960s, which was kind of what we were aiming for, but this one is a bigger production and a bit more modern sounding.” The first single is Let Her Go and we have a very special presentation of it here for you below. 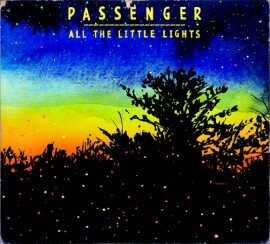 All The Little Lights is out now on iTunes.